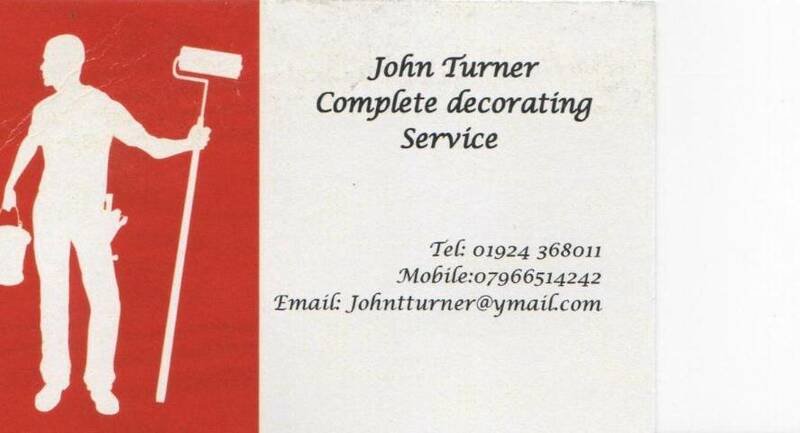 Welcome to John Turner's Complete Decorating Services!! With over 45years experience in painting and decorating to Domestic and Commercial customers throughout Yorkshire. We are specialists in wallpaper hanging and providing that complete decorating service for that complete customer satisfaction. No job too small as we pride ourselves with 10037; satisfaction GUARANTEED!! Insurance work undertaken and free estimates available. We offer a range of internal and external services, using a fully trained and skilled workforce. which gives our clients the assurance that the work we carry out will be of a professional standard. Call now and see the difference! !